Welcome to Hanoi, the vibrant capital of Vietnam, with its lively curbsides and busy roads, French architecture and narrow streets that make you feel like you’ve transported yourself to a South East Asian version of Paris. On any given day in Hanoi you can watch the lives of the locals sitting on the curbside, sipping on Vietnamese coffee, downing some Pho and enjoying the company of their friends. 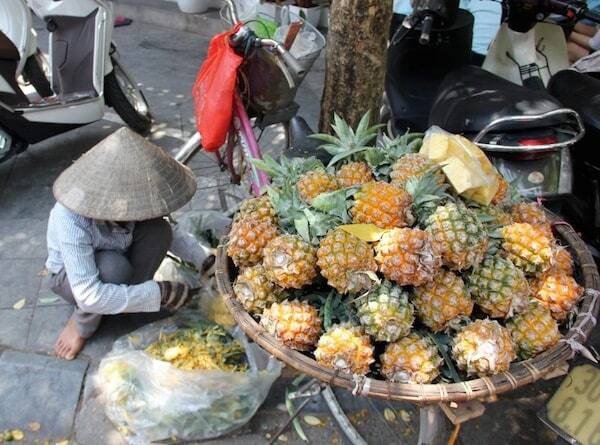 Street vendors sell fruits the old fashioned way with wooden sticks and baskets on their shoulders, and everyone wears those hats, those lovely traditional Vietnamese hats – a pinnacle image that reminds you just where you are in the world. Hanoi is the place where you could easily spend a week, or at least 3 days if you’re in a rush to travel the rest of this fascinating country. Here’s our guide to make your experience in Hanoi a memorable one. Noi Bai International Airport (IATA: HAN, ICAO: VVNB) serves the capital city of Hanoi. 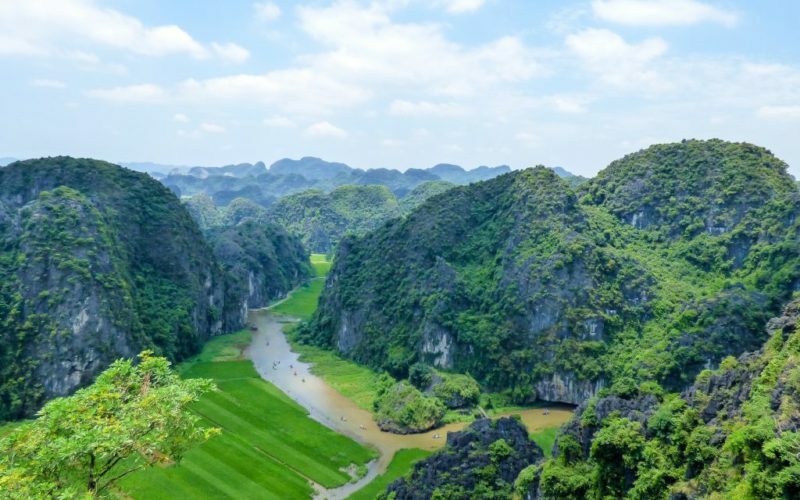 Many cities across Asia fly direct to Hanoi as it is the largest airport in North Vietnam and a starting point for many who wish to take the north to south route. 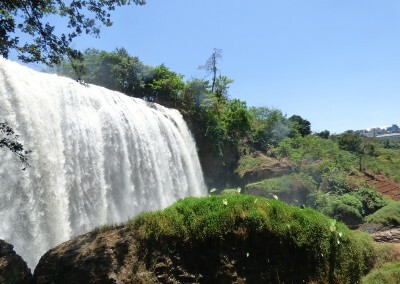 It is located about 25 kilometres from Hanoi centre. To get to the city centre you can either take a metred taxi that will cost about 300,000 VND or there is an airport shuttle that leaves from the airport and drops you into the Old Quarter, which costs 40,000 VND per person. The bus stop is located about 30 metres to the left of the exit door at the airport. Being a major transportation hub Hanoi has 4 bus stations that service routes from almost anywhere in the country. Sleeper buses service routes to and from local cities Hue, Da Nang, Nha Trang, Ninh Binh, Ho Chi Minh and many other smaller cities. There are also international services to and from Vientiane, Laos and Nanning, China. Hanoi has 2 train stations, one that services the south and one that services the north. The northern station services routes to Lao Cai for tourists wanting to take the 9-hour journey to Sapa. The southern station services Hue, Da Nang, Nha Trang and Ho Chi Minh City. Prices depend on duration of route and whether you are looking to take a hard sleeper or a soft sleeper, both varying levels of comfort. The best way to get around Hanoi, aside from walking, is to take a taxi. Taxis are metred so you can monitor the costs. However, some taxi drivers will try to scam you by either raising the metre or finding some other way to overcharge you. 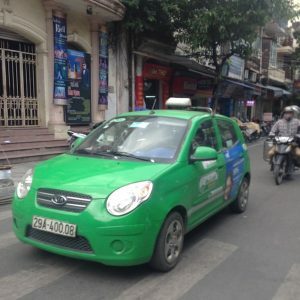 The most reputable and reliable taxi in Hanoi is the green one. Try to take this one when you can and, if not, reaffirm to the taxi driver that you want the metre on and watch it at all times. Traditional Cyclos still roam the streets of Hanoi. It is a nice way to see the town however you must be wiling to arrange a price with the driver beforehand. A reasonable price for 1 hour is 100,000 VND for 1 person, and 150,000 for 2 if you can manage to fit 2 people into the small chair. Cyclos are slowly fading out in Hanoi so it might be a nice way to support the drivers who usually get only 1 or 2 rides per day. Hanoi is a great city to walk around. Most of the main sites are located within a 4-kilometre radius so if you don’t mind a 40-minute walk here or there then walking is a good option. Plus there are so many things to see on the way. Stop in to a place for a Banh My (Vietnamese bread roll) or visit one of the traditional coffee shops and sit on tiny stools with an iced lemon tea and have a rest. Probably only a good option if A. you want to get out of the main city centre, and B. you have riding experience. Hanoi is not an easy place to ride a motorbike. There are thousands of motorcycles in these streets and unless you’re a confident driver you may find it rather overwhelming. Nevertheless, the cost of motorbike hire is around $5 per day and you can find many rental shops in the Old Quarter. 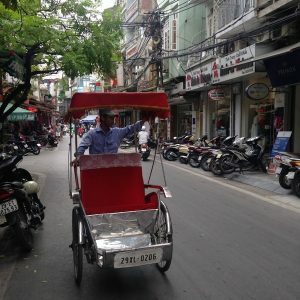 Hanoi Kids are a student-run organisation based in Hanoi, Vietnam whereby students voluntarily provide city tours to English speaking travellers in exchange for cross-cultural experiences. Students gain the opportunity to practice their English skills and visitors get the opportunity to learn all about the Vietnamese culture. It is a wonderful tourism concept that allows for two-way cultural exchange without monetary gain. The tours are offered free of charge and all visitors need to pay for is the cost of food, drink, transportation (if used) and ticket entry into attractions. 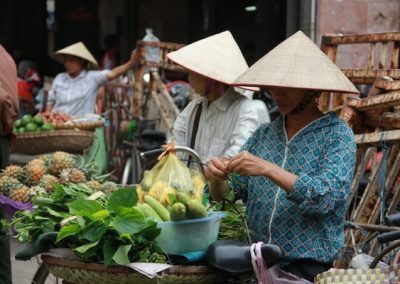 Visitors can make up their own itinerary or choose from the packages provided, which include all the main sites of Hanoi. 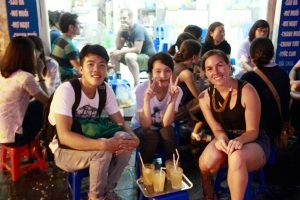 Hanoi Free Walking Tours is another student run organisation that also provides free tours to visitors in exchange for cross-cultural communication. Their members are enthusiastic young students who are always eager to make friends with people around the world and explore charming Hanoi together. Choose from tours to the famous Hanoi landmarks, museums and districts or take a street food tour that will let you try all kinds of local foods. Backstreet Academy is a social enterprise providing tailor-made tours created by locals. They have a number of unique, cultural tours in Hanoi especially in the area of art. 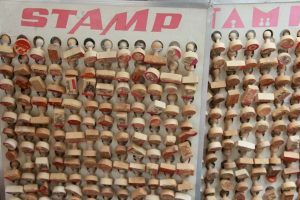 Participate in some of Vietnam’s ancient traditions like stamp making, knife making, leather making and calligraphy courses. It’s a real authentic experience in Hanoi but if you miss out they also offer tours in Hue and Hoi An as well. There are many great museums to explore in Hanoi that are all within close proximity to one another. 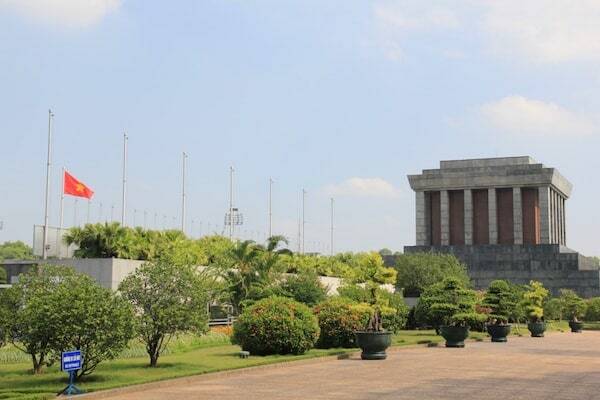 Spend a day museum hopping and learn about Vietnam’s history. Hanoi is a great place for shopping. Historically the streets of the Old Quarter were named according to what they sold and these streets have still kept their names today e.g. Hang Gai Street is silk street where you can find many shops selling silk products. There is a silver street, a footwear street, a clothing street and even a gift shop street, all located in the Old Quarter. For markets you have the Hanoi Weekend Night Market in Hang Dao Street open every Friday, Saturday and Sunday night or the Dong Xuan Market on Dong Xuan Street open daily from 9am to 7pm. If you’re interested in fair trade shopping Craftlink and Chie Design sell fair trade handmade products from the hill tribes in northern Vietnam. 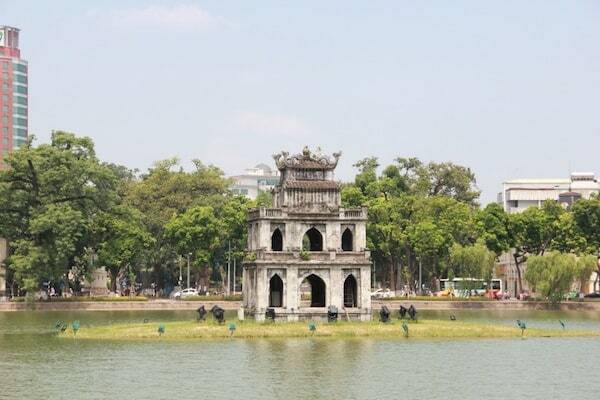 Hoan Kiem Lake is the most famous lake in Hanoi. You can easily walk there from the town centre and walk around the lake admiring its beauty, especially when lit up at night. In the morning you will see the locals doing anything from yoga to tai chi to aerobics, and during the day you’ll see many locals and tourists taking shade under the lake’s trees. The lake also has symbolic meaning to the Vietnamese. Legend has it that a giant, golden tortoise is thought to live in the lake, who once gave a divine sword to a Viet king to help defeat the Chinese after 1000 years of occupation. There are plenty of places in Hanoi that offer cooking classes with prices and durations varying. Some offer visits to the market where you can purchase the ingredients yourself and some keep it simple by having everything ready to go. Taking a cooking class is a great way to learn about the Vietnamese culture and learn about all the different types of cuisines they have, which are a lot. 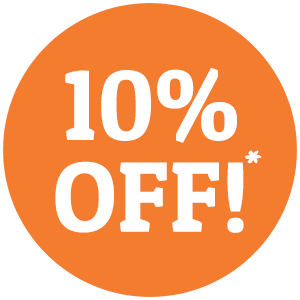 You can book through your hotel or through a restaurant or agency. Social Enterprise KOTO Restaurant offers a 3 course cooking class for 900,000 VND per person however, if you’re on a budget, you can find courses for around 600,000 VND per person. 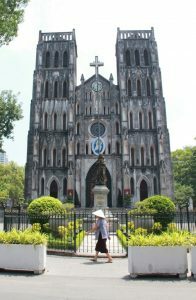 This beautiful cathedral was built in 1886 and is the seat of the Roman Catholic Archdiocese of Hanoi. Stand in front of the church from the other side of the street for a perfect picture of this spectacular church. After visiting the cathedral head across the road to the famous Cong Coffee, an old style coffee shop that will take you back to the 1970’s. Founded in 1070, the Temple of Literature was established as Vietnams first university six years later. 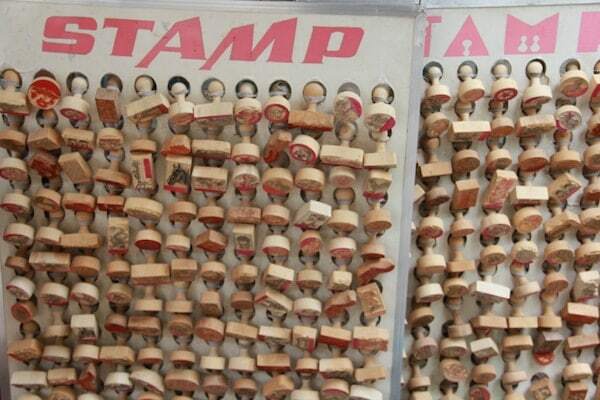 The names of graduates are etched into numerous stone tablets each mounted on the back of a tortoise. If you’re looking for a little peace and quiet you can find it here. The temple grounds feature some beautiful architecture, sculpture and bonsai tree’s. 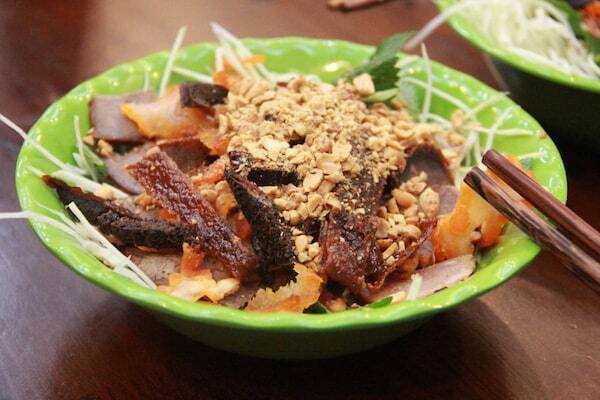 If you want to taste some of the delightful cuisines of the north then Hanoi is the place to be. There are many local restaurants where you can try traditional Vietnamese food like Pho, Bun Cha, Nom Bo Kho, and Bun Bo Nam Bo. Wondering what these are? Take a street food tour to help you get your head around all these different types of foods. Feel like something familiar? 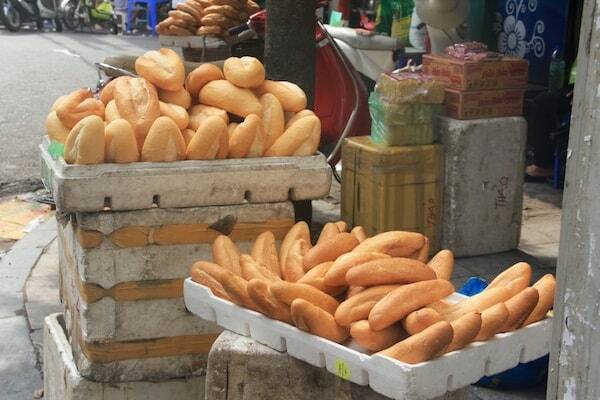 You can find Banh My everywhere, which is what many tourists come to Vietnam for. 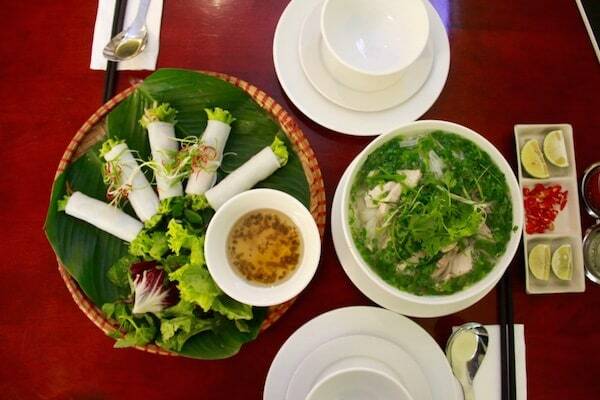 30,000 VND or less will get you one of these lovely Vietnamese rolls with the lot. Looking for western food? Try Gecko Restaurant and Café, a chain of restaurants located in the Old Quarter that have a great range of meals and a 2 for 1 Tiger Beer special all day and night. Feeling fruity? There are many street vendors selling the latest in-season fruit such as Lychees, Pineapples and Plums. Be prepared to bargain though as they will try and set a high price. 20-30,000 VND per kilo is a fair price for most fruits. Want to dine for a cause? Visit social restaurants KOTO, Joma Bakery, Tea Talk Café, Donkey Bakery or Pots’N’Pans for food that gives back. Best coffee in town? Visit famous Cong Coffee located near the St Joseph’s Cathedral. It’s a place where nostalgia and memories of old days meet an on-trend, inspirational, quirky design. You must try their specialty coconut coffee, which mixes coconut milk with delicious Vietnamese coffee or chocolate. Looking for the best nightlife? Hanoi’s Beer corner between Ta Hien Street and Luong Ngoc Quyen Street offers beers for as little as 5000 VND a glass. The area is also full of bars and nightclubs and while Hanoi does have a 12am curfew, you can still find a few places open past this time. Hanoi is full of very well priced guesthouses, hotels and hostels. The large choice of accommodation brings the prices down and you can often find yourself a nice private room in the Old Quarter for as little as $12 USD a night. For access to everything the Old Quarter would be your best choice however if you want something a little quieter there is also a lot of accommodation outside of this area. For any medical advice and assistance you should visit Family Medical Practice, 298I Kim Ma, Ba Dinh, Hanoi. There are also many pharmacies located throughout Hanoi. 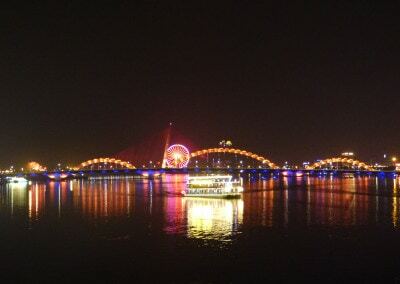 Hanoi remains a relatively safe city for visitors however it is important to maintain a regular degree of caution especially at night. Emergency numbers in Hanoi are: Police 113, Fire brigade 114, Ambulance 115.